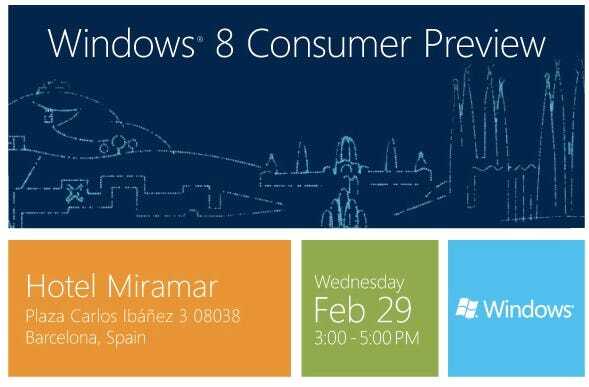 Posts tagged "Mobile World Congress"
On February 29, Microsoft will finally release the Consumer Preview, a partly-finished beta, to the entire world. It’s announcing the preview at an event at Mobile World Congress in Barcelona. The venue is interesting, since MWC is all about (duh) mobile devices. Earlier this month, a video leaked explaining how the next version of Windows Phone will interact with Windows 8, and share a lot of common technology as well. Expect to see some of that interaction at the show.